Microsoft has a virtual monopoly on desktop operating systems with Windows and on office productivity with its Office suite--as well as a dominant share of the Web browser market with Internet Explorer. For many, though, Microsoft is the big, evil corporation robbing the defenseless masses, while Google is the Robin Hood of the Web, altruistically delivering free goods and services. However, although you might not realize it, Microsoft also offers many of the same tools and services as Google--and also for free. Although in many circles Hotmail gets about as much respect as AOL Instant Messenger or MySpace, Microsoft's free Webmail service is capable. Before Microsoft bought it, Hotmail was the first Web-based e-mail service, and one of the first to be free. The free Microsoft Outlook Hotmail Connector lets you view your Hotmail data from within Outlook, and Hotmail also supports Exchange Active Sync so your Hotmail e-mail, contacts, and calendar can be automatically synced with devices like the iPhone or iPad. Exchange is Microsoft's messaging server used by many businesses for e-mail, but Exchange Active Sync has emerged as a standard used by many devices to sync mail, contact, and calendar information. 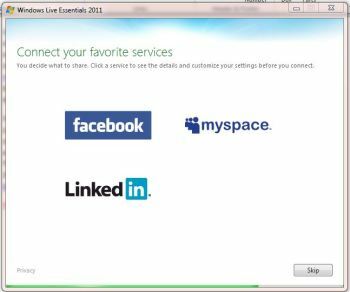 Windows Live Messenger--a component of Windows Live Essentials--can integrate with your Facebook, LinkedIn, and MySpace social networks. Windows Live Mail: Whereas Windows Live Hotmail is a Web-based e-mail service, Windows Live Mail is a desktop e-mail client application that lets you add and view multiple e-mail accounts--including Hotmail and Gmail--from one interface. For users who don't want to spend the money to get Outlook, Windows Live Mail performs many of the same functions for free, and is more than adequate as an e-mail client for consumers and for SMBs (small and medium-size businesses). You can manage your e-mail, contacts, calendar, RSS feeds, and newsgroups from within Windows Live Mail. 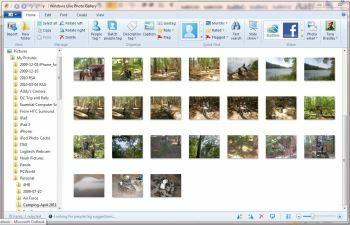 Windows Live Mesh keeps files and folders, as well as browser favorites and custom user settings, automatically synced. 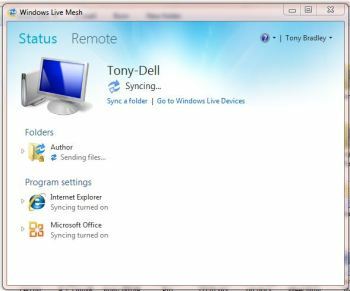 Windows Live Mesh: It can be daunting to keep information synced among various PCs and devices you use, or to make sure you have access to your data even on the go. Windows Live Mesh helps tie everything together and automatically keeps your data synced and available. You can keep files and folders automatically synced among different Windows or Mac OS X PCs running Live Mesh, or with Microsoft's cloud-based SkyDrive data storage service (see below). Photo Gallery organizes all of your photos and gives you the tools to quickly find and easily edit them. 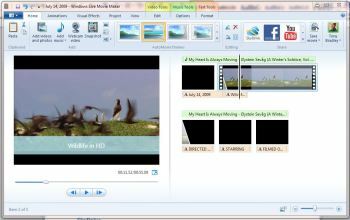 Windows Live MovieMaker turns anyone into a movie director or producer, and helps you polish those home movies. 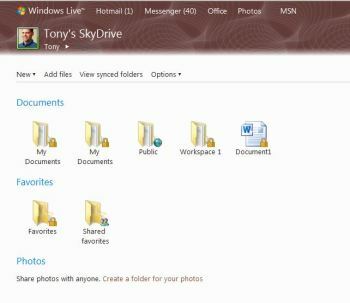 Windows Live SkyDrive stores your files and folders on the Web so you can access them from virtually anywhere. But organizations that want more robust tools, or the full Microsoft Office experience, should look for the upcoming launch of Office 365--Microsoft's replacement for Business Professional Online Services. Starting at only $6 per user per month, Office 365 will provide Exchange e-mail, Lync instant messaging, SharePoint collaboration, and the Office Web Apps productivity suite. Whether you are new to these tools, or have been using them for some time, I'd be interested to know in the comments, or by e-mail, what your experience has been like and whether or not you would recommend these tools to others.